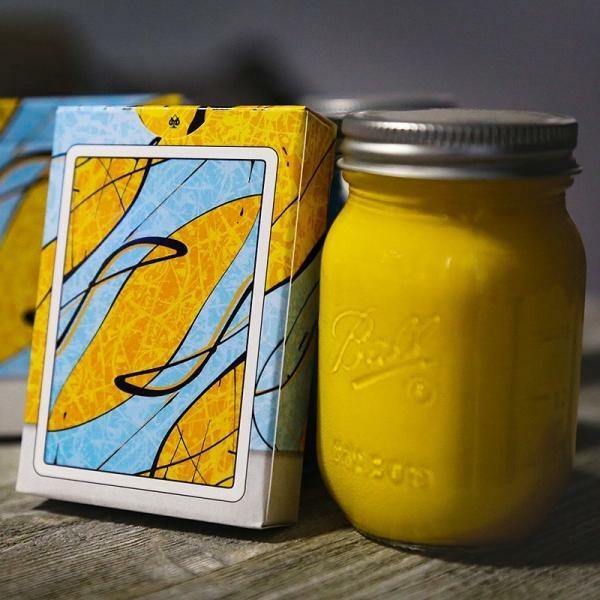 Inspired by the work of Jackson Pollock, the POLLOCK: Cardistry Deck is a nod to Pollock’s ability to reimagine how artwork and personal expression could be intertwined. The splatter artwork is hand painted by Randy Butterfield and Mike Wilson. The Deck is printed by The Expert Playing Card Company’s Taiwan printer, and utilizes their exceptional Classic Finish. The Back Card for the POLLOCK: Cardistry Deck is an intricate composite of our splatter artwork, made to look simplified with the large color areas. The yellow and light blue colors are accented by rich black design elements. The Ace of Spade and Jokers, like the Tuck Box, mimic a Painting in a Gallery setting. 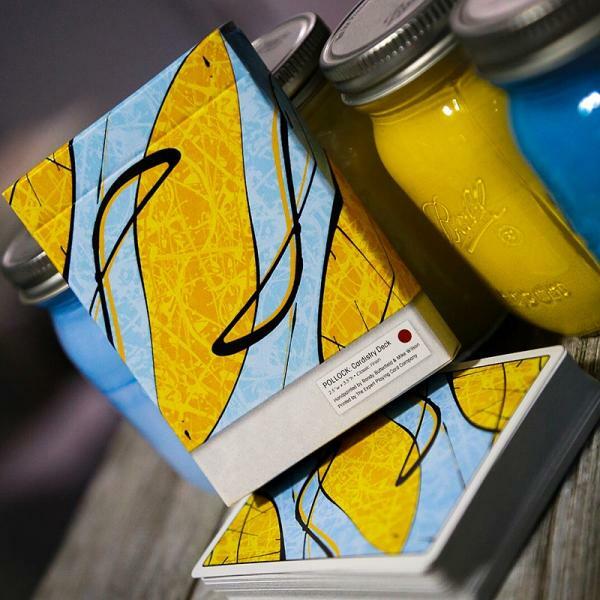 The semi-custom Face Cards incorporate various color combos of the splatter painting composite and create a cohesive look for the rest of the Deck. 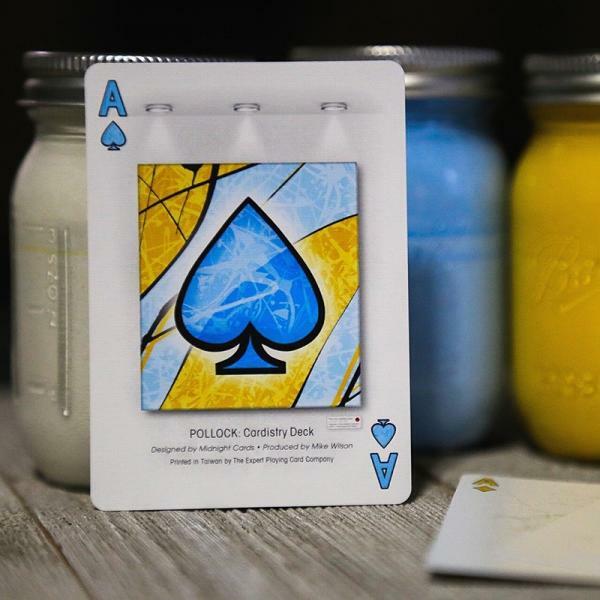 The POLLOCK: Cardistry Tuck Box is printed on a premium Matte Tuck material and features a clear UV Spot Ink overlay that adds a level of gloss in strategic locations. The designs for the Tuck are meant to mimic the look of a Painting displayed in an Art Gallery. The descriptor card and red dot adds to the Gallery vibe. For many Art Galleries around the world, a red dot indicates that a Painting has been SOLD!